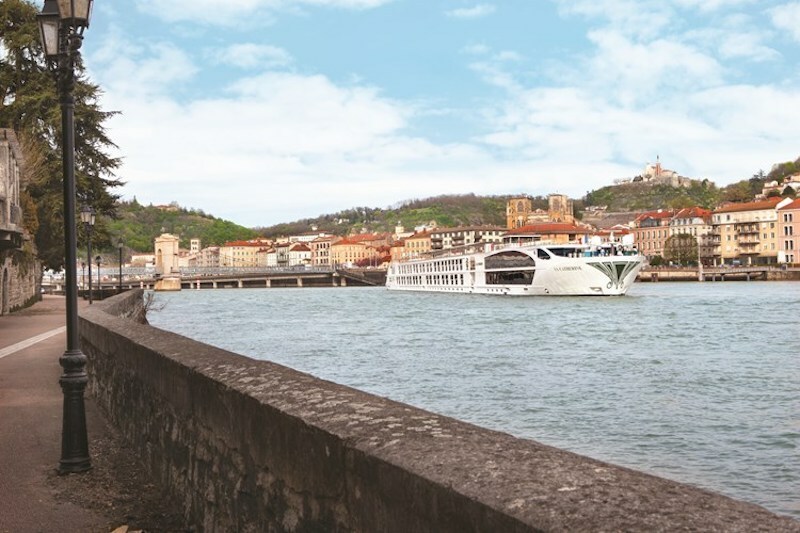 What is a Uniworld river cruise like? Keep reading! They say the Mistral in France can drive you mad! Cold, strong and persistent, this winter wind funnels icy air from the Alps down the Rhône valley to the sea. While it blows, it dominates life along the river — and death too. Or at least it used to, because until recently, the Mistral was accepted in French courts as a mitigating factor in cases of murder!! But Van Gogh loved it. It stimulated him, sharpened his senses, and matched the swirling activity in his own brain. So when we arrive in Arles for the start of our eight-day cruise on board Uniworld’s SS Catherine up the Rhône and Saône Rivers to Lyon, it’s poor, crazy Vincent who’s our first point of contact. On a walking tour around this lovely, ancient city, we visit the buildings he painted, still looking the same today. Uniworld's SS Catherine. Photo: supplied. 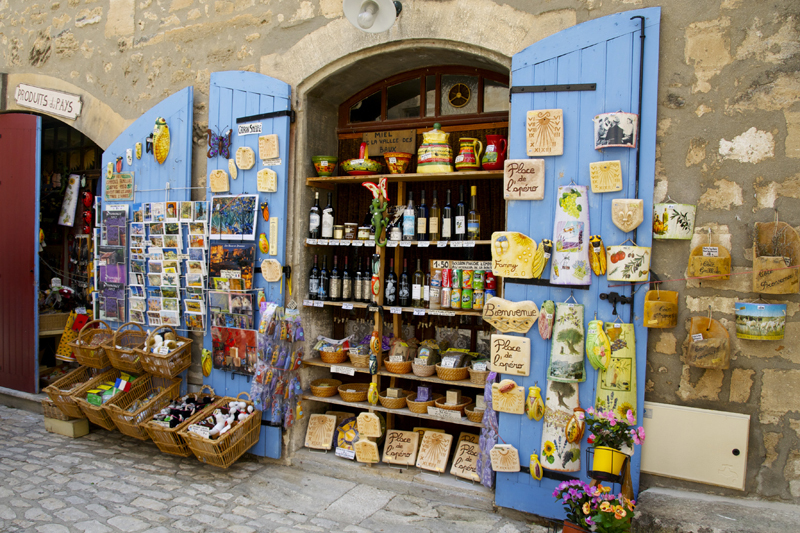 Colour is everywhere on this cruise through Provence and Burgundy, both inside the ship and outside: red wine, green-gold olive oil, the cheerful yellow and blue of tablecloths displayed in the souvenir shops, along with giant red and orange glazed cicadas, the symbol of Provence. It all makes for a pleasing contrast with the creamy, weathered sandstone of the bridges and buildings. Among the most impressive of these are the amphitheatres built by the Romans. 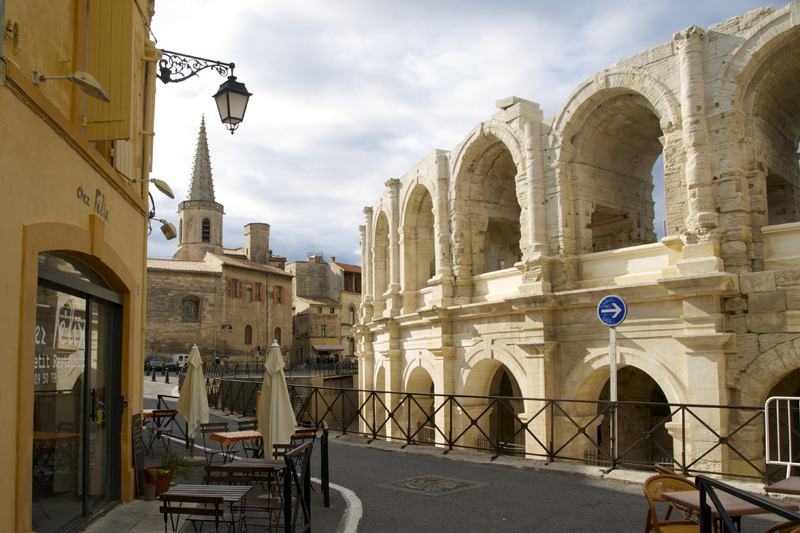 The one in Arles has double tiers of arches framing the blue sky, the sand of the arena inside is raked clean after 2,000 years of bloody events. A long and lively history is suffused with this town and all the others we visit, but everyday life hums along too: in the cafés, in the markets and in the streets. But up in the nearby and charmingly pretty little village of Les Baux perched on a limestone outcrop above orchards of hunched olive trees, the Mistral is driving everyone indoors on this chilly April day. Its gusts are so powerful that we lean against it as we walk up the cobbled streets — and then stagger like drunkards each time it suddenly drops. It’s no penance though, having to duck into the shelter of the shops: lavender, paintings, bags of herbs, soaps, and oils. It’s a browser’s paradise. When we get to Avignon the next day, the high city walls protect us from the Mistral. We follow local guide Philippe through the streets, listening to his commentary on headphones that allow us to dawdle and get side-tracked without missing a thing. That’s just as well because this city, with its famous half-bridge, is crammed with history, especially inside the huge Palace of the Popes. We explore the echoing halls where nine popes lived throughout the 14th century, and marvel at the kitchen fireplace that could roast four cows at once. But for sheer architectural magnificence, there’s no surpassing the nearby Pont du Gard: three strong but graceful tiers of beautiful limestone crossing the Gardon River. 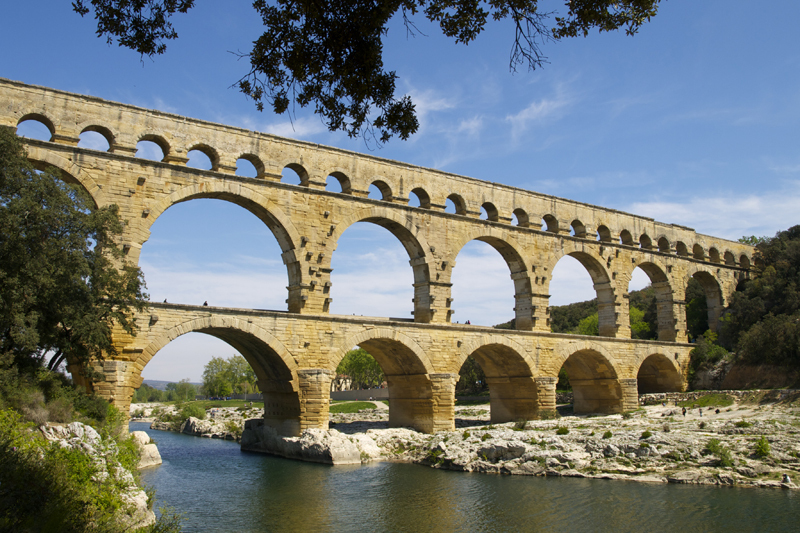 It’s an aqueduct built by the Romans that’s stood firm for two millennia, shrugging off floods that have destroyed more modern bridges. The Uniworld guests who choose to kayak beneath it have perhaps the best view of all. At each of our daily stops there’s a choice of all-inclusive excursions offering a closer look at the location’s culture, daily life, or just a chance to get some exercise. 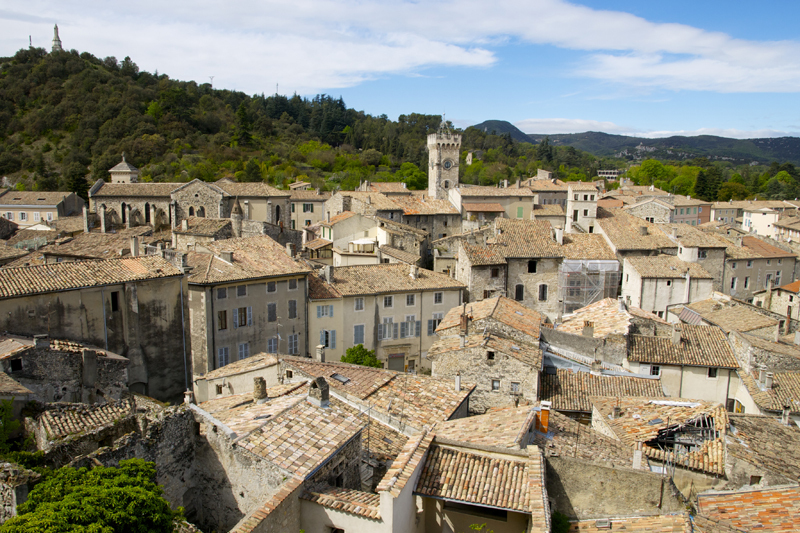 Viviers, built up a hill besides the river, offers all three at once: a climb through the winding streets up to the 12th century St Vincent’s Cathedral for an organ concert, and then an invitation into a local’s home or a challenge to a game of petanque. Naturally, since we’re sailing through Provence and Burgundy, wine features strongly in the excursion options with cellar-door tastings or vineyard hikes. Every evening brings a different (and included) selection at the dinner table, chosen from nearby vineyards to be an ideal accompaniment to that night’s dinner. The chef’s creations, using the best of local produce, effortlessly live up to our high expectations of French cuisine. The cheese is serious too — by the end of the cruise, we will have tasted 21 different varieties, three each night. Food-wise, Lyon gives us both the highs and lows: a chance to eat at the 3-star Paul Bocuse restaurant, or have a McBaguette at Macca’s. Either way, it’s necessary fuel for exploring this fascinating city, from its wedding-cake basilica on top of the hill, well-used by the Resistance during the war (there’s an excellent museum for finding out more about this) down to the huge market — and shopping mall — beside its multi-bridged rivers. This is where we leave the Rhône and venture up the Saône towards the end of our cruise. 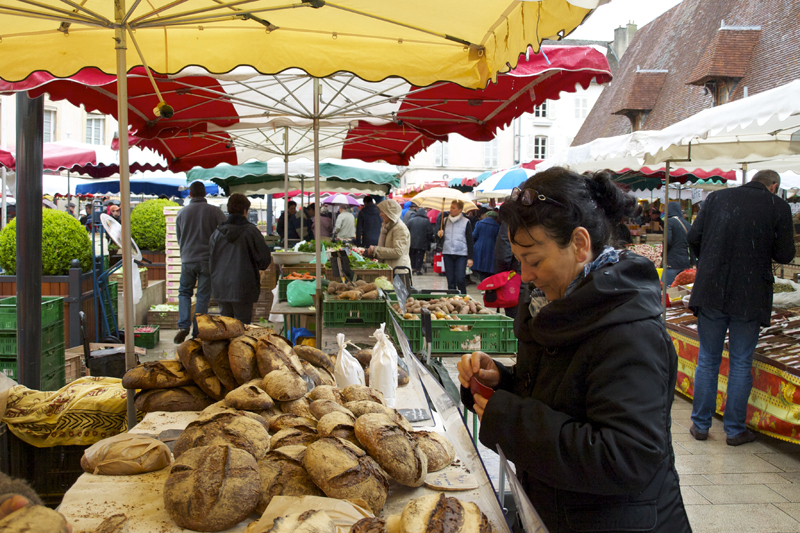 We visit the busy market town of Beaune where the world’s best get-into-heaven ticket stands in all its flamboyant, 15th century splendour. It’s the Hospice, built by a businessman to atone for all his sins, and delighting people still with its glorious patterned roof of coloured, glazed tiles, surmounted by pointy turrets. It was built to give comfort to people who needed care and rest. We can empathise with that, because thanks to Uniworld’s friendly and professional staff on board the SS Catherine, we’ve spent the last week enjoying precisely that. They learnt our names and preferences within a day of our boarding, adding an extra layer of comfort to what was already a glorious indulgence. The opulent suite with its balcony looking out to an ever-changing view of some of France’s loveliest countryside; the marble bathroom and its l’Occitane toiletries; the richly-furnished Van Gogh lounge and bar; the Cezanne restaurant where we’ve sipped and supped so well; the sun deck with its 360 degree views of vineyards, bridges, chateaux, pretty towns and splendid cities. It’s all been so very lovely.